Holiday Gift Guide: Supporting Home/Direct Sales Businesses! "Keep in mind this holiday season... YOU, the customer, are our everything. Spending $100 at Walmart or another retail or department store during the holidays won't make a difference to anyone; but spending $100 through a home business owner for Christmas means our business can continue, it gives us our pay, provides for our families, helps us meet our personal goals, and helps us continue to do what we love without using harsh sales techniques. The big stores will not care about you the way we will because unfortunately, you don't mean that much to them. You mean the world to me - shop a home/direct sales business for Christmas this year!! " This is such a true statement. Even before starting direct sales myself, I had planned on having the bulk of my own personal Christmas wishlist come from companies such as Scentsy, Mary Kay, Avon...and some Etsy shops too. I love the idea of being able to directly help make Christmas a little better for someone else. So today, I want to encourage all of you to consider doing the same! So, I bring you my holiday gift guide, home businesses edition!! Of course, what kind of consultant would I be if I didn't mention Thirty-One? Truly though, our products make great gifts for all occasions. One of my personal facorites is the Organizing Utility Tote- give it by itself, or make it a great gift 'basket' with body washes, lotions etc or a movie night theme with popcorn, a move or two or fill it with baking supplies...the possibilities are endless. You could do the same with any of our other bags as well! The other great thing is that many of our items can be personalized for a unique gift. For a child, you could do a nice Short Utility Bin or Large Utility Tote with their name! This is especially great for those like myself who have an unusual name and can't usually find items with the correct spelling!! Scentsy Anyone who knows me personally, or who has followed for long, probably knows that I'm a Scentsy addict. 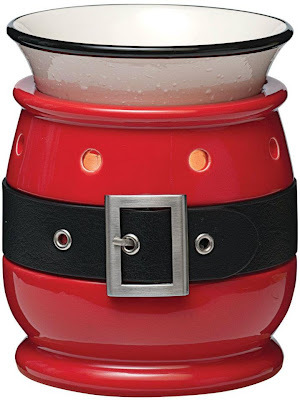 A cute warmer and a few bars is the perfect gift for anyone who loves candles and wants their house to smell great! One of my personal favorite warmers is the Piece by Piece warmer, benefitting Autism Speaks, still available in closeout while supplies last. I haven't met someone with a child/grandchild on the spectrum yet who doesn't love this warmer. But the great thing about Scentsy is that there is truly a warmer style and scent options available for everyone! And for those looking for a bargain, there are a TON of plugin warmers available in the closeout for a discount too!! For the Scentsy addicts, you could give a gift certificate so that they can take advantage of January's Bring Back My Bar promotion too! If you do not already have a Scentsy consultant, I have several friends who are-too many to post them all here, but I'm happy to pass along their names, just ask! 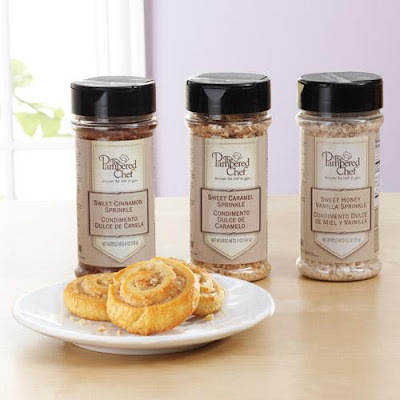 For the person who loves to cook in your life, Pampered Chef is a great choice! Lots of great, unique cooking tools. I don't have a ton of PC products myself, but the few I do have (including their bamboo spoons) have been wonderful and I love them. They have some great gift sets, ready to give, or you can mix and match a few items and fill your own gift basket! On my personal wishlist: the Pizza Party Set and the Sweeten It Up Set! You can check out all of the wonderful products for yourself here, from my friend Tammy! I am sure everyone has heard of Avon, and it doesn't need much introduction. They have a little something for everyone- women, men and children and all at great prices. Avon products make perfect stocking stuffers too. As a child I remember getting them myself and I always loved it. Check out their website for some great gift ideas at great prices here! Personally, I know a lot of people on my shopping list enjoy primitive decor, myself included. If you have someone like that on your list, you should definitely check her out here. 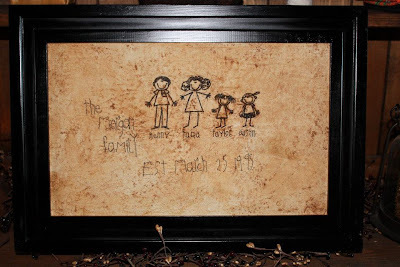 My personal favorite items are her Primitive Family Signs, a great one of a kind gift!! Absolutely gorgeous. But all of her items are wonderful, and would be perfect for the primitive collector in your life. These are just a few of the many home businesses out there: Mary Kay, Arbonne, Tupperware, the list goes on... Not to mention all the many crafters on Etsy or local to you! Between all of these wonderful companies, you are bound to find something for nearly everyone on your list, while directly helping these people have a better Christmas. The same cannot be said when purchasing all of your gifts from Wal-Mart or Target! So, my challenge for everyone is to consider your shopping list and see if you can add in just one gift from a company such as these. Do you have your own direct sales company you're a consultant for? An etsy shop? Please feel free to leave your links in the comment and tell everyone a little bit about your company!